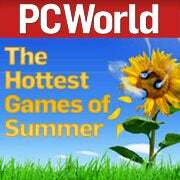 Gamers have plenty to be excited about this summer as&#160;an onslaught of games begins. To save you some time, we've narrowed the list of wannabe wing-dingers down to 15 hot&#160;titles that&#160;range from campy shooters and sword-fu fighters to rhythmic rockers and bank-robbing bonanzas. We even have one&#160;game--Will Wright's Spore--that lets you nurture a single-celled protozoan blob and grow it into a galaxy-gobbling species. PC World's two gaming experts--Matt Peckham, who writes our Game On blog, and Senior Writer Darren Gladstone, a self-described gaming nut and author of our Casual Friday column--weigh in here with their opinion of each game. An interesting side note for PC gamers: Over half the titles in this list include PC versions, with two of those exclusive and one, Spore, an apparent blockbuster if it lives up to even half its prerelease hype. See if you agree with Matt and Darren's opinions. Whether you do or not, please comment and let us know what you think. Info: Control the evolution of a species, from paddling around in a single-cell soup to growing a creature into a culture to launching an interstellar spacefaring civilization. Matt: You're traveling through another dimension, one not only of sight and sound but of mind, a journey into a wondrous land whose boundaries are that of imagination. You've just crossed over into...the Will Wright zone. 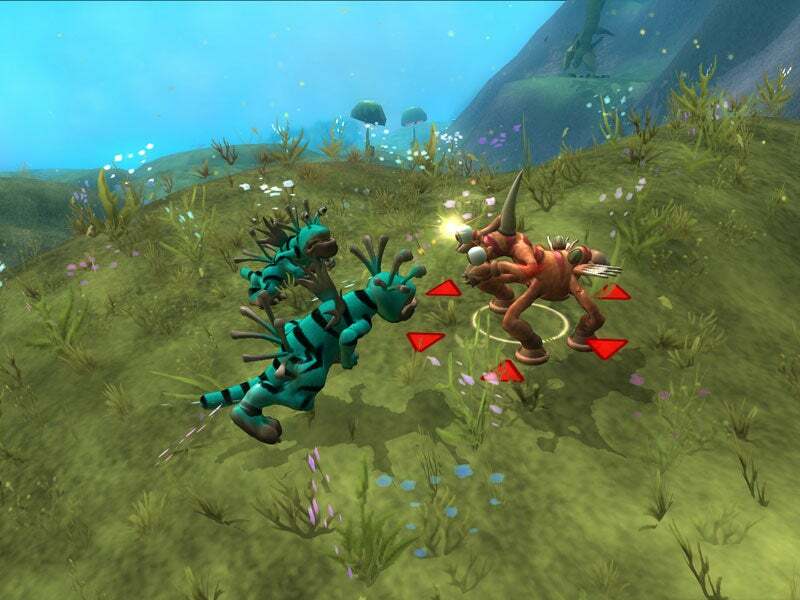 In Spore, you start as a single-celled thingamabob, then "evolve" into a multicelled thingamabob, and eventually spread your thingamabob civilization across the galaxy. The Creature Creator is already available, so keep your eyes peeled for the platypus-that-can-kiss-its-own-you-know-what species that'll be popping up any day now. Darren: Like most of the free world, I'm looking forward to this game, and to its viral nature (by far the coolest part). I mean, people will see my Editorus Rex or the ninja race I'm trying to create, and they'll incorporate it into their own universe. The only foreseeable problem with the Creature Creator that's available now is having to wait until September&#160;before I can actually do something with my monsters. 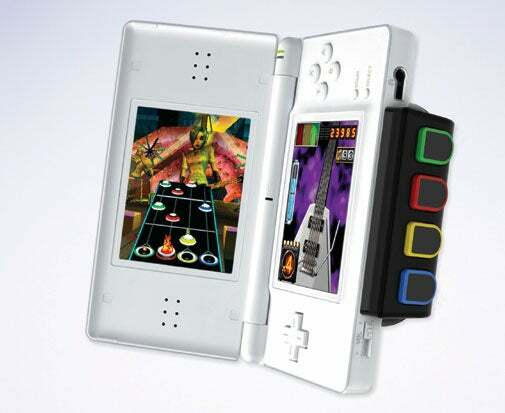 Info: Guitar Hero invades the mobile market with a four-button guitar grip that plugs into your Nintendo DS and lets you "strum" the touch screen while tapping keys in time with a four-path note highway. Matt: The only thing wilder than the fact that this game exists at all is the accompanying video from Nintendo explaining how it works. Points for grabbing our attention ("You are the master connector PER-son!"). And hey, it's the first Guitar Hero game that uses an actual guitar pick. How cool is that? Darren: I dunno, man. This just screams "mistake" to me. It's tough to eke out high-quality audio from a DS, and half the fun of all these rock-and-rhythm games is indulging in the illusion that you're a rock god. Even though the home-console versions have me windmilling a plastic toy in the living room, it's better than a tennis racket in the mirror. As for plucking invisible strings on a DS touch screen: I may look like a complete tool, but I'll try anything once. Info: This first-person-shooter spinoff from EA's military-themed first-person-shooter Battlefield series includes simplified soldier classes, two solo campaigns, online support for up to 24 players, and a whopping "90 percent destructible" assortment of mission locales. Matt: Crack squads with military moxie? 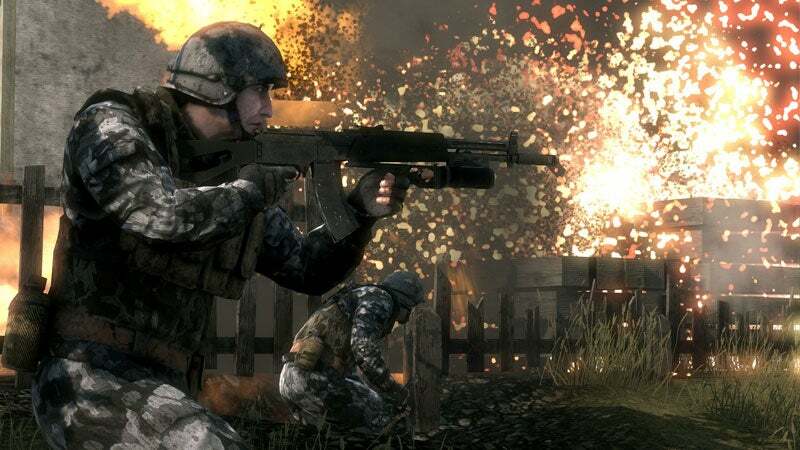 These aren't those guys, but whoever reimagined EA's Battlefield series as Kelly's Heroes meets Three Kings deserves a medal. Whether the goofing around and wreck-anything attitude equal shooter nirvana is anyone's guess, but if you're into blowing junk up, this one has kaboom-sauce slathered all over it. Darren: A modern F-Troop sounds good, but if you ask me, the fireworks in the background will be the star. I mean, it's not as if I watch Independence Day for the story. Still, "90 percent destructible"? Who picks that indestructible 10 percent? I can't wait to find a bulletproof balsa-wood plank or to toss a single grenade that levels brick houses.